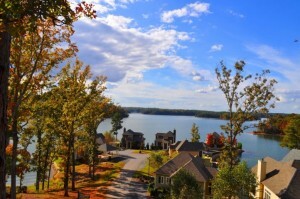 12: Lake Martin Vacation Team has booked 12 Vacations in the past seven days! Its going to be a great year for Vacations on Lake Martin! 11: There are 49 properties under contract as of today on Lake Martin! It’s an incredible start to 2013! The Langston Team closed two properties last week and put three more under contract this week! 10: 17 properties have closed on Lake Martin since January 1, 2013! 9: Camp ASCCA’s Valentines Dance is just around the corner! It’s an incredible night of great food, music and entertainment. Your attendance helps many people attend this incredible camp here on Lake Martin. Visit Camp ASCCA for more details! 8: Birmingham Boat Show is going on this week! Please stop by our Russell Marine booth at the show…it is incredible! Tabitha with Lake Martin Vacation Team will be there to tell you about our great concierge service this year on Lake Martin! PreviousPrevious post:Real Estate Connect in New YorkNextNext post:Charm Plus Character Equal 1814 River Oaks!